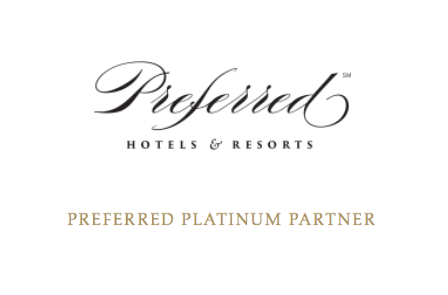 Preferred Hotels Platinum Partner is the invitation-only Preferred Hotels program offering our clients complimentary special amenities and VIP recognition at select Preferred hotels and resorts worldwide. Membership in the exclusive Preferred Hotels Platinum Partner gives us access to special value-added benefits at Preferred Hotels for our clients. Preferred Hotels has a portfolio of the world’s finest hotels and resorts. Enjoy the advantages of Preferred Hotels Platinum Partner by booking with Denise Alevy.